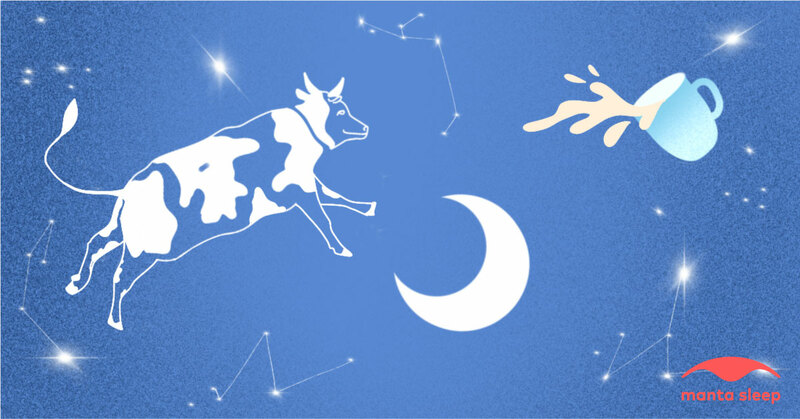 What Is "Moon Milk", and Can It Actually Help You Fall Asleep? When you think of drinking warm milk before bed, you are probably brought back to memories of childhood. Mom would warm up a cup of steaming two-percent, read a quick bedtime story, then lights out. Seems pretty odd for a twenty-something to do the same, right? Well, there’s a new trend that people are turning to for a good night’s sleep that is pretty similar to the old childhood tradition. There’s a delicious milk-based sleep aid quickly gaining popularity, and it so happens to be totally Instagram-able. Hello, relaxation in a cup! Moon milk doesn’t just contain naturally calming ingredients, it turns out even the act of drinking it can help you fall asleep faster, too. Clinical Psychologist Dr. Michael J Breus told thekitchn “My guess is that the good feelings that came from the person who gave you the milk (mom, dad, grandma, etc.) comforted a person so they relax, which allows the natural sleep process to occur." Nothing like a steaming cup of dairy to remind you of your family and calm your nerves! Not only is it good for your health — Moon Milk is always a stunning color! From pretty pinks to bright blues, people seem to be posting pictures of the photogenic drink all over the web. The combination of various herbs and spices blend together to produce natural hues without dye or chemicals. This drink is definitely something to consider when your Insta feed is looking a little dull! Whir briefly using a handheld milk frother for a latte-like finish, or whisk vigorously to create a fine froth. Pour into warm mug and enjoy. Optionally top with a sprinkle of ground up butterfly pea flowers and freeze-dried blueberries. Add ¼ teaspoon of turmeric powder to ¼ cup of water in a pot and heat until it becomes a paste—stirring occasionally to help dissolve the turmeric powder. 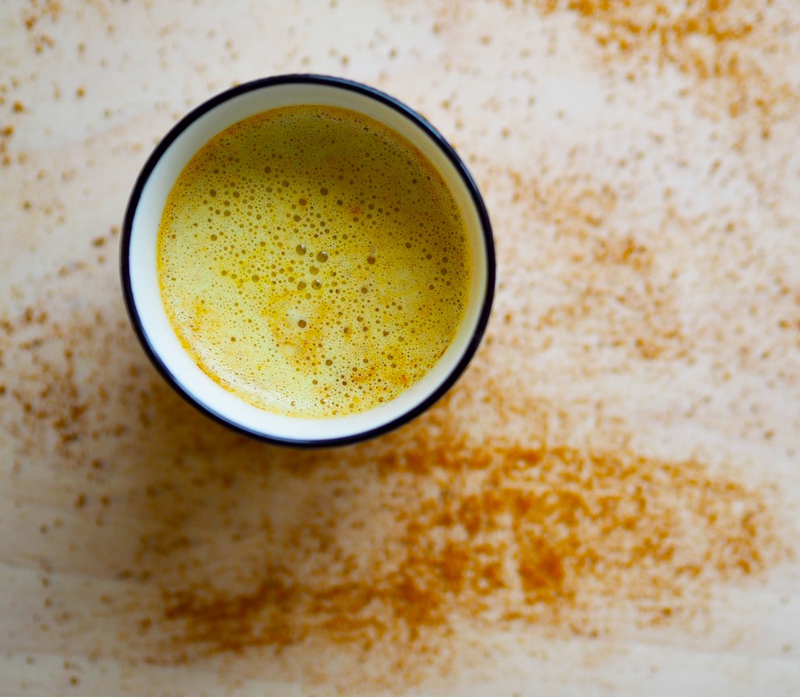 Add 1 cup of milk (either use organic raw cow/goat milk, unhomogenized organic cow/goat milk, organic almond milk, or organic coconut milk) to the turmeric paste. Add 1 to 2 teaspoon of either ghee, coconut oil, or almond oil to the milk mixture. Add a pinch of either cardamom powder or cinnamon powder (optional). Add 1 teaspoon of honey once the milk has cooled enough to touch. All in all, moon milk seems like a safe, budget-friendly alternative to other sleep aids on the market. Use it in combination with a sleep mask or your favorite travel pillow for an even better night’s sleep! With make at home recipes and premixed powder, there is a chance for everyone to try out. As much as you may hate to admit that you’re turning into your mother, it’s time to give her credit for the milk before bed habit. You DEFINITELY need to try out this moon milk trend, and take an artsy Instagram pic of your cup while you’re at it! Ever heard of "Moon Milk"? We'll tell you why it's the secret to falling asleep faster.